I had almost forgotten the bottle of Yuzu Citron Tea in the fridge. 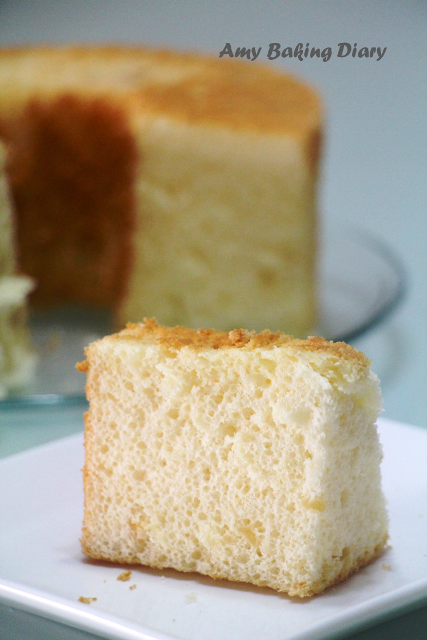 Since I was working from home on Wednesday and my mum was at my place, I decided to make a chiffon cake. I tell you the cake is so fragrant that my mum and I fell in love with it. It has been a long time I have afternoon tea at home with my Mum. No extravagant high tea buffet but Mum and I had a great time. 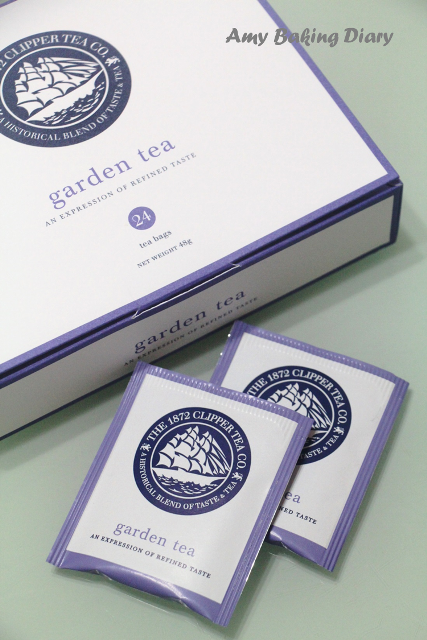 We had a nice tea from The Clipper Tea Co. to go along with the chiffon cake. Mum and I almost finished the whole cake by ourselves as we chat and eat. Thanks for this box of wonderful tea bags from Serene whom I knew her since we were 14 years. And also, I'm very thankful to my boss for allowing me to work from home when he was overseas. Thanks Boss! Happiness is having a wonderful friend and a good boss at work. The original recipe is for 5 eggs on 20cm pan. I did a conversion on the recipe as I’m using 18cm pan. (1)Separate the egg yolks from the egg whites. To the yolks, add caster sugar and beat on high until the mixture turns light and fluffy. (2)Place the yuzu marmalade in a jar. Add warm water and stir until combined. Set this aside. (3)Add the oil to the egg yolk mixture and continue mixing. Add vanilla extract and the yuzu mixture. (4)Mix and add the flour, baking powder and salt. Mix until just combined. Set this aside. (5)In a clean mixing bowl, whisk the egg whites until foamy. Add cream of tartar and continue whisking. 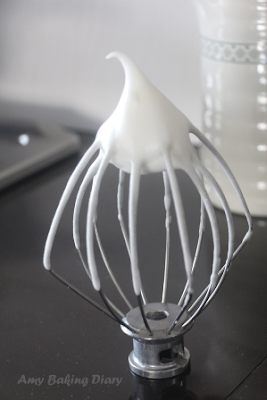 (6)Gradually add the sugar, whisking all the while until stiff peaks form. (7)Mix 1/3 of the meringue into the egg yolk batter. Just beat it in. (8)Gently fold the remaining meringue into the batter in 2 batches until no streaks remain. (9)Transfer into a tube pan and bake at 160°C for 50-60 minutes. Invert and cool completely before you remove the cake from the pan. Wow! This cake looks amazing! It looks so soft and airy. 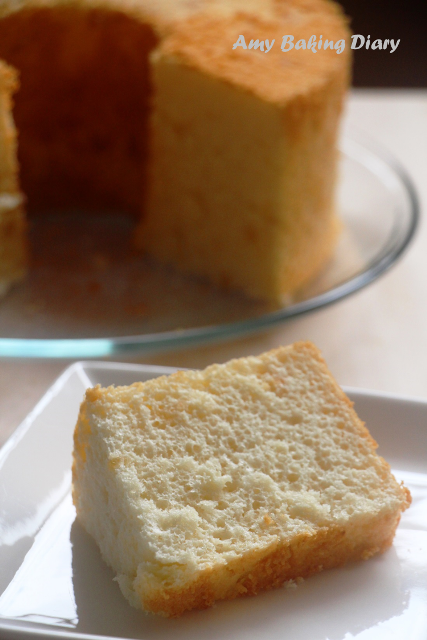 Your chiffon cake looks so fluffy, soft and delicious! 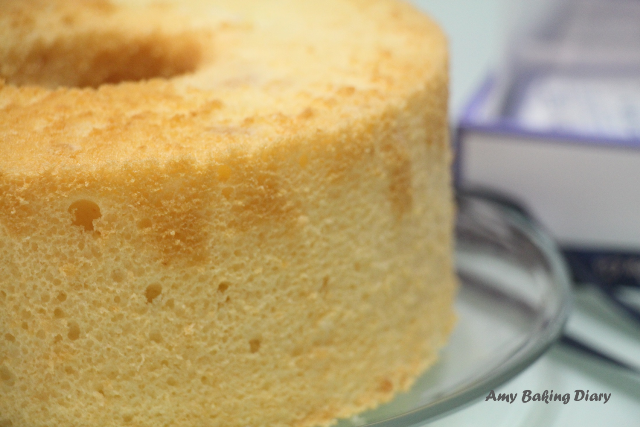 I was thinking of making a chiffon cake today, but have ran out of eggs! Because i was too lazy to go to the market yesterday! Uma lindo e abençoado final de semana!